UN Auditor: UNICEF keeps up to 61 cents of every dollar for “administration.” Those ubiquitous orange boxes help feed fat cat bureaucrats, not poor Third World kids. 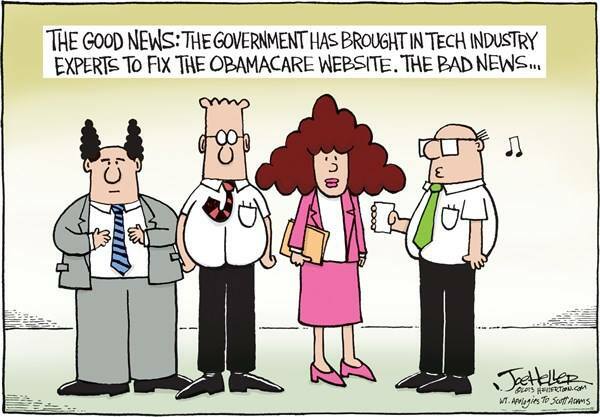 Obamacare is contagious: Britain’s NHS can’t get their socialized medicine website to work right either. Gator Doug wants someone to give Sean Penn his address. Please. Hilarity will ensue. Not racism: Virginia Democrats white-face a black man. Today’s Pro-Choice Poster Girl is brought to you by Lower Saucon Township, Pennsylvania. If you like your current health plan — get over it. If you enroll in Medicaid via Healthcare.gov you can’t get out of it. Ever. If you like your cancellation letter, you can keep it. Texas GOP Poll: “Generic” Tea Party challenger beats Senator John Cornyn 46% to 33%. The cookie-cutter curriculum that is Common Core. Retro advertising, I’m pretty sure we’re buying what she’s selling! 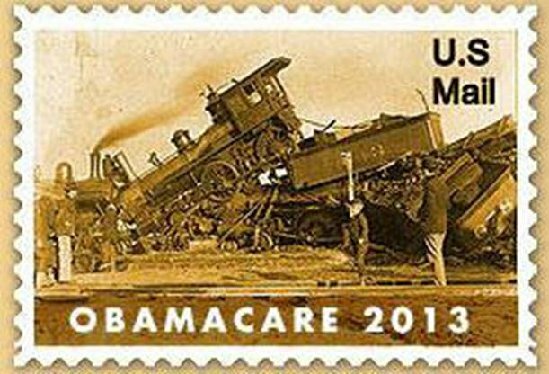 The Obamacare postage stamp. Yes, it’s a Forever Stamp. Contrary to popular belief, the Roman Catholic Church does not condone shilling for abortion. A Washington D.C.-based private Catholic university is slated to offer a class next semester that is expected to teach students how to promote and protect abortion coverage provided under the Affordable Care Act. The course, “Regulatory Advocacy: Women and the Affordable Care Act,” is set to be taught at Georgetown Law, and it has upset staunch Catholics, according to The Cardinal Newman Society, which first reported on the new academic offering. The course will hone in on “regulatory advocacy as it pertains to the implementation of the Affordable Care Act and women’s health,” and calls on students to work with the National Women’s Law Center “to develop projects that will assist in the organization’s regulatory advocacy efforts.” The law center publicly supports Obamacare and its mandate requiring religious institutions provide insurance coverage for abortions and other birth control. The Jesuits of Georgetown would do well to reacquaint themselves with Canon 915. Some well-intentioned, but extremely misguided social engineers are determined to mandate annual increases in the minimum wage by amending New Jersey’s state constitution. But there’s something these “living wage” nuts don’t understand. Economics. When robots are cheaper than people, people won’t have jobs. Move over baristas, here’s a robot that does your job better than you ever could. The price of automation keeps going down. And yet the goo-goos want the price of people to keep going up. At some point the robot offers better value. The Weeper Of The House folded like a cheap lawn chair. The endgame will arrive a little sooner than expected, thanks to a deal cut with John Boehner to take the first plunge on a bipartisan plan to end the budget standoff before the theoretical debt-ceiling limit gets breached. Instead of the Senate taking up the proposal from Harry Reid and Mitch McConnell first, Boehner will allow a vote — without amendments — and have it pass with Democrats making up the difference from expected opposition from conservatives. He can’t help it. It’s who he is. No balls. No guts. Of course it didn’t help that Mitch McConnell sold him out to Dingy Harry. Primary both their traitorous asses. Please. The bodies might not be literally floating in the Passaic River, but they’re still dead. That makes 4 homicides in 3 days. 77 so far this year. Where’s Cory? Oh, yeah, he’s busy. Running away from Newark. Hoping you’ll ignore his abysmal record as mayor and promote him to the U.S. Senate. Here’s a better idea. Let Cory Booker fix Newark first. Then he can run on his achievements. Some day in the future when he, you know, has actual achievements to run on. Steve Lonegan for U.S. Senate! He’s also a mayor, and his record speaks for itself.